A pensioner has escaped uninjured after he spent 11 hours pinned to his bed after his ceiling collapsed under the weight of 7,000 yachting magazines. 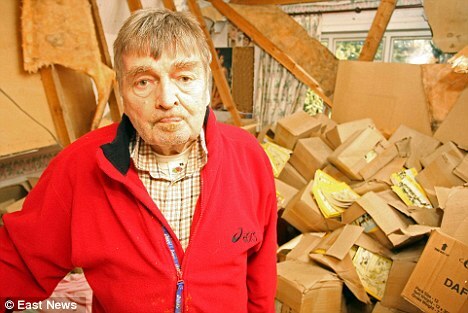 Richard Phillips, 77, was discovered trapped yesterday under chunks of the ceiling and 150 boxes filled with the magazines at his home in Goldhanger, Essex. Firefighters spent 45 minutes removing the boxes and rubble at the man’s home. Mr Phillips escaped unhurt.